At lofree, we dedicate ourselves to keep the most sophisticated product simple and elegant, in order to benefit and reach more people. Pushing boundaries in product design is in our company mission and we’ve earned several Red Dot and iF design awards to prove it. Nostalgic, retro & elegant, while packed with advanced features. These are the characterics of a lofree product. 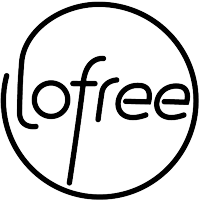 Having won Red Dot and iF design awards, Lofree is no stranger to creating the most sophisticated product in a simple and elegant design. Browse our store and contact us if you need any support!